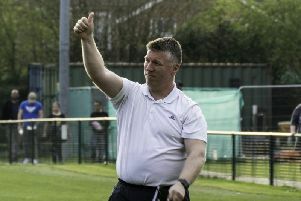 Haywards Heath Town manager Shaun Saunders has stressed the importance of consistency as he welcomed a well timed break for his players. High flyers Haywards Heath town sit six points clear at the top of the league and travel to relegation battling Eastbourne United on Saturday. Despite his oppositions league place Saunders believes this games is not one to be taken lightly. He said: “League positions go out of the window this time of year as you are playing sides who are all scraping for points for different reasons. “I’m expecting a hard one for sure. It’s never an easy game there and we have been playing there for a long time over the years and you just never get an easy run. “I know Toby well and I know he expects 100 percent and nothing less from his side so I expect them to be organised and difficult to beat. Heath did not play on the weekend nor in midweek and Saunders believes this short break will benefit his team. Despite Heath’s league position Saunders still believes there are improvements to be made to his side to avoid dropping anymore league points. He said: “So far it has been a great season but I don't want to be dropping too many points. The losses we have had I'm disappointed in without a doubt because they are games I felt we could have done better in. Heath travel to Eastbourne with only two abscenties as Trevor McCready is still unavailable and Callum Saunders’ ankle injury will prevent him from playing.